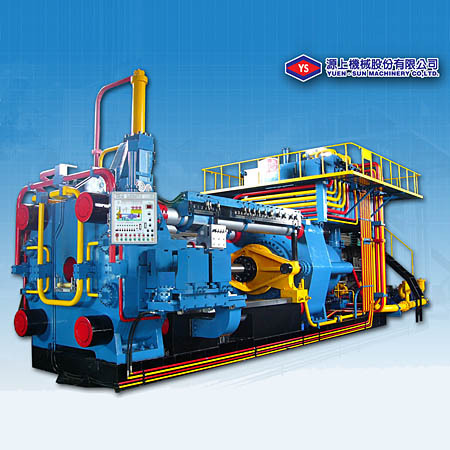 Established in 1980 as Taiwan Aluminum Extrusion Press manufacturer, supplier and factory. Our products supplied and exported worldwide relying on our professional talent and good experience. We force to manufacture products to suit the exact requirement of our client ranging from small business to huge manufacturing units. Custom-designs and OEM/ODM services are cordially welcome. 7"*28"L(1800US TON), 8"*30"L(2200US TON), 9"*36"L (2750US TON). Easily operated, Automatic holding die slide and Automatic charging into container. Square shears which are durable and not easily oblique and hydraulic shear knocker is attached. products are intricately designed and embroidered with premium quality of threads. All the staff will serve the old and new customers with best Aluminum Extrusion Press and the best service.